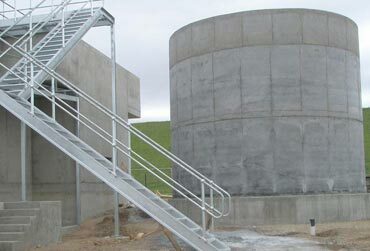 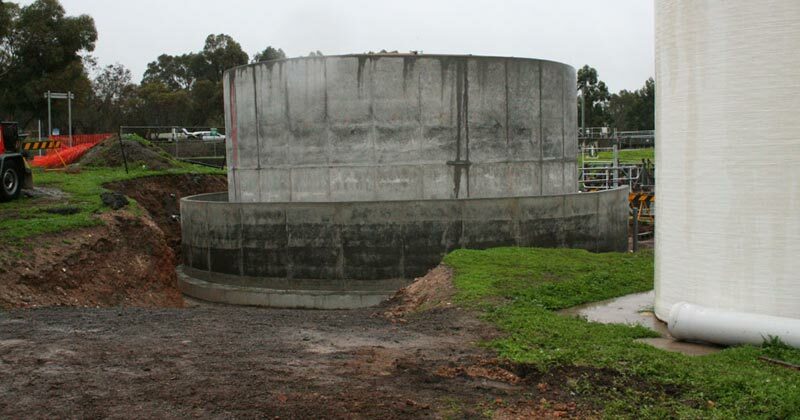 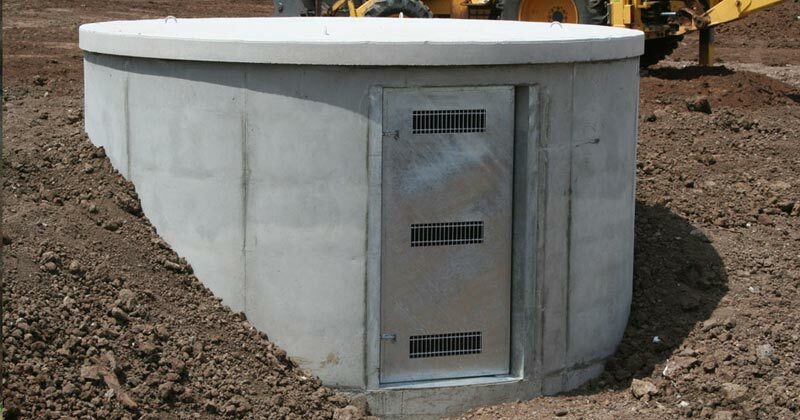 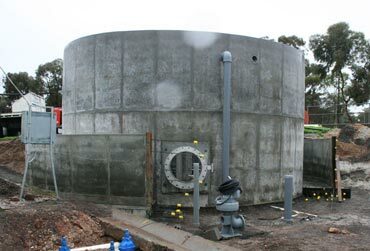 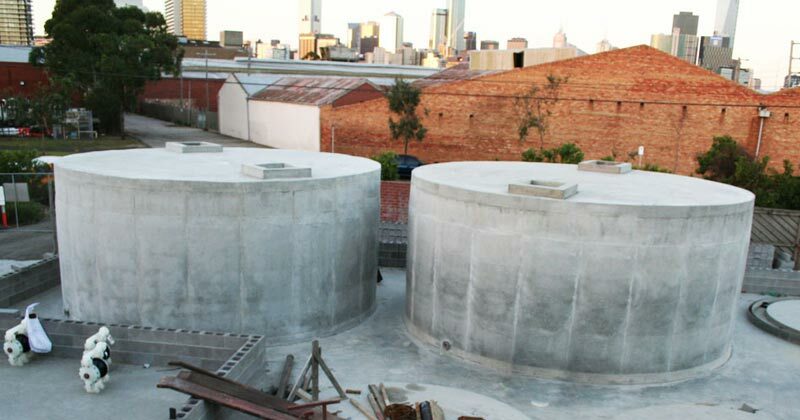 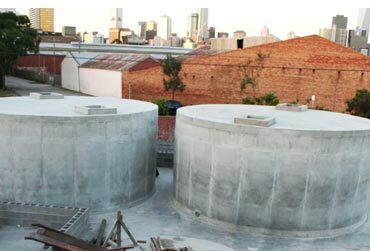 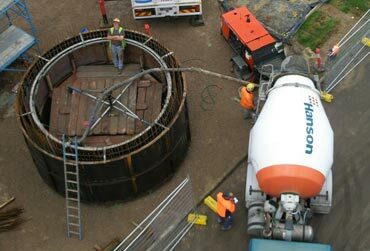 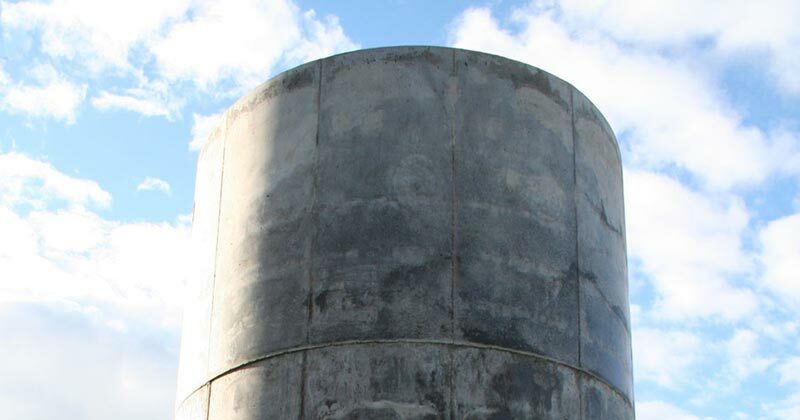 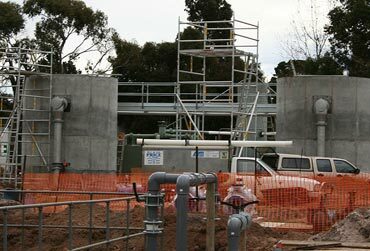 We service all of Victoria as well as Interstate, so whether you require either an aboveground ( underground ) or below ground concrete: Domestic water tanks, commercial / industrial rainwater tanks, rural water tanks,	water treatment tanks, Water Treatment Plants, Chemical Storage Tanks, Cellars / Pump Stations then Apollo Concrete tank has the solution. 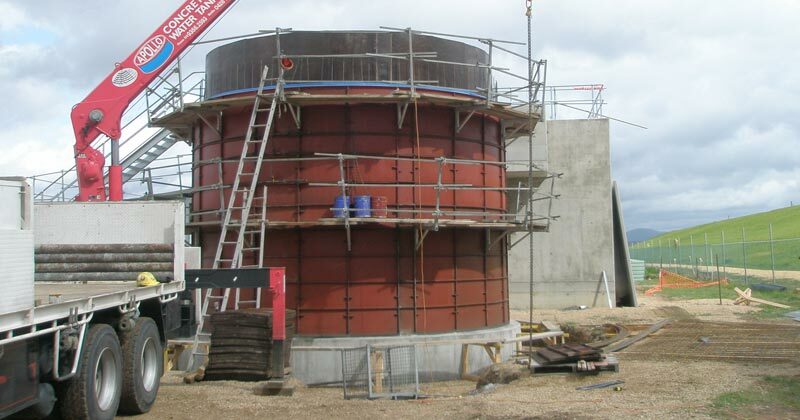 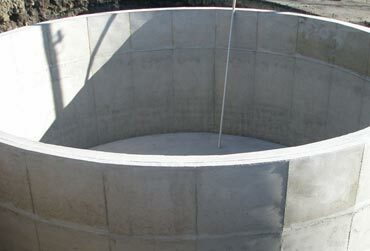 Above ground industrial concrete tank with concrete roof used for chemical storage. 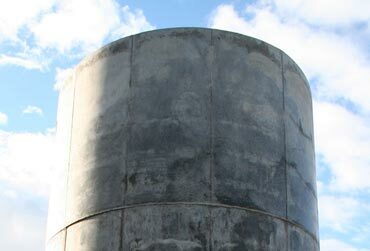 Above ground industrial concrete tank. 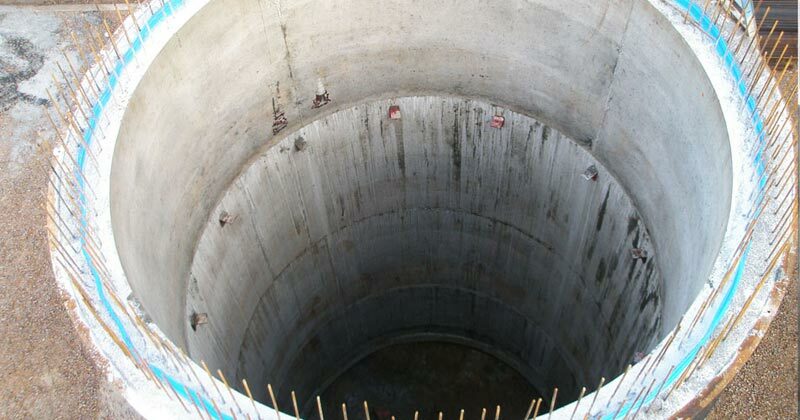 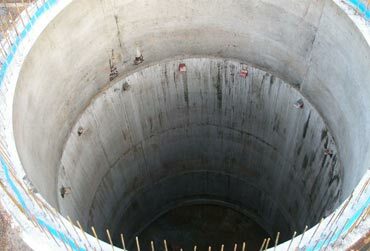 Deep well concrete shaft up to 15m deep. 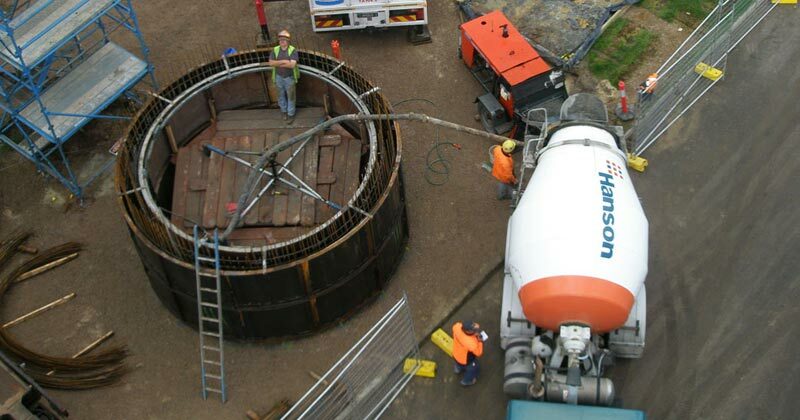 Doing a concrete pour for a concrete tank for a deep well shaft. 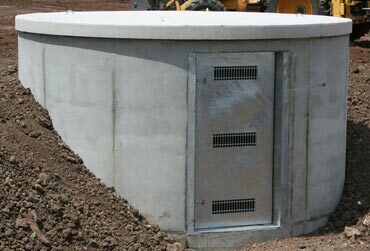 Underground pump station up to 8m depth. 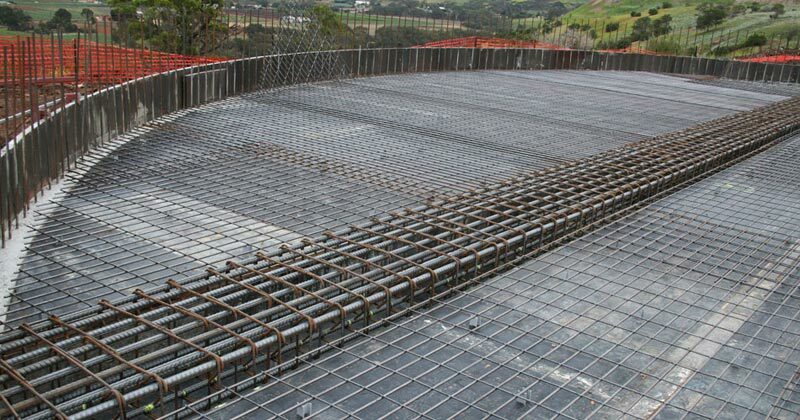 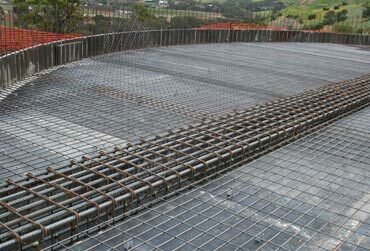 Reinforcement steel for concrete roof for underground 2,000,000 LT concrete tank. 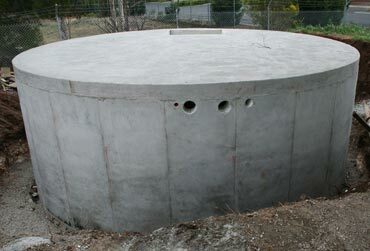 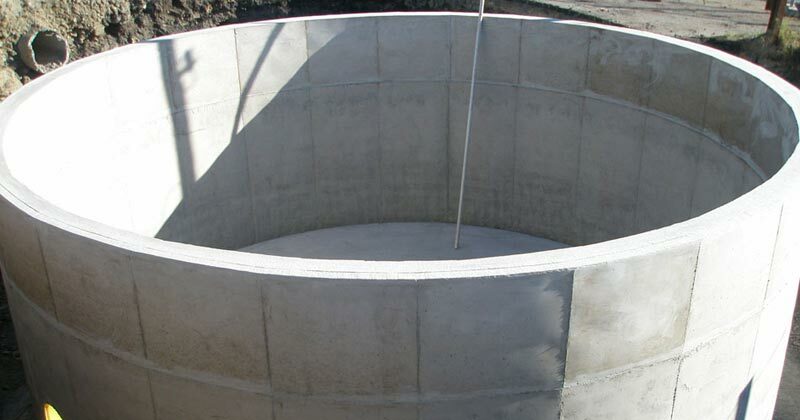 Domestic underground concrete tank with concrete roof. 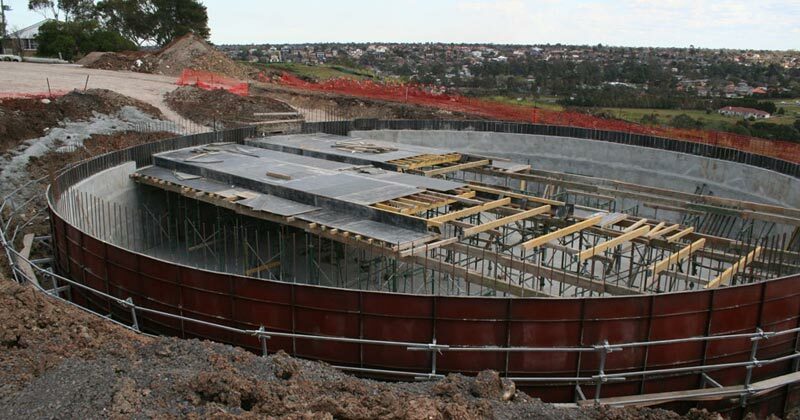 Roof construction for 2,000,000 LT underground tank. 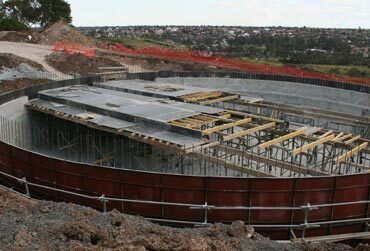 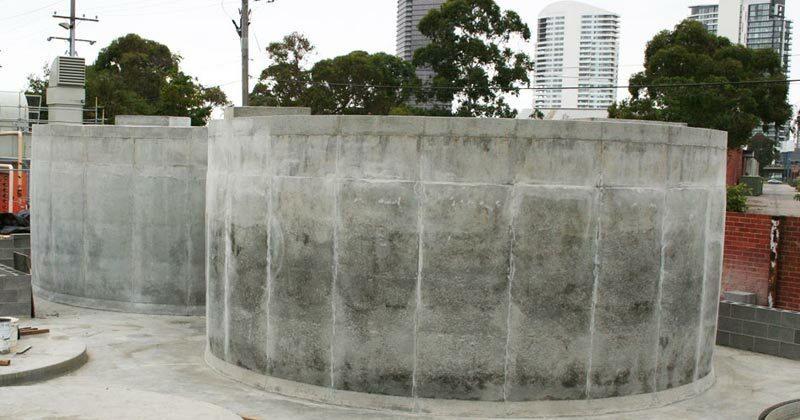 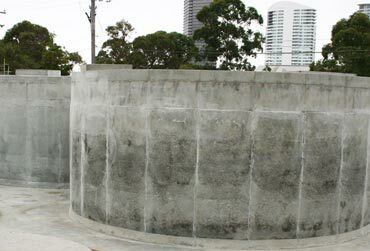 Construction of a waste water concrete tank above ground with partially built retainment wall. 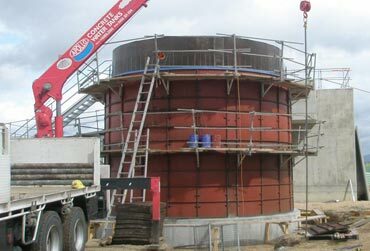 Industrial above ground waste water storage tank with containment wall around tank. 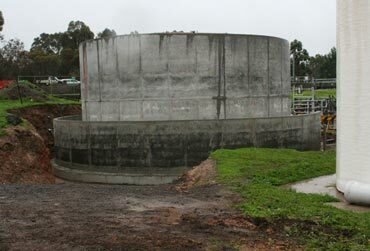 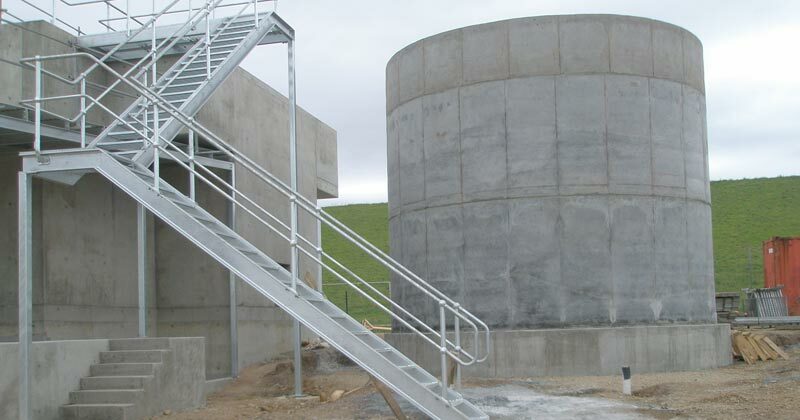 Two above ground concrete tanks used for filtering of water. 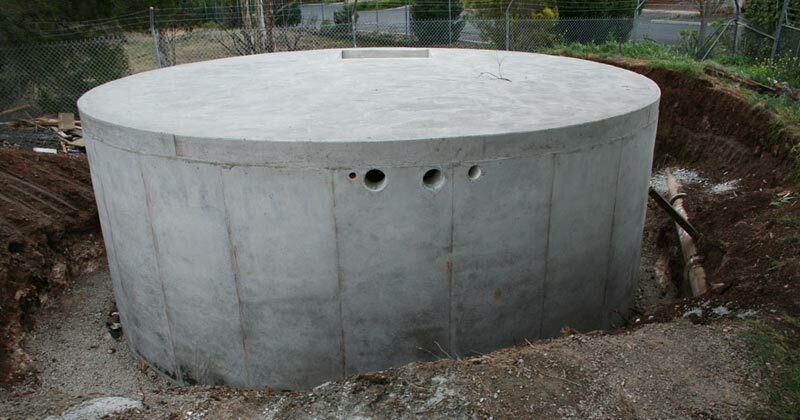 Above ground concrete tank for filtration system. 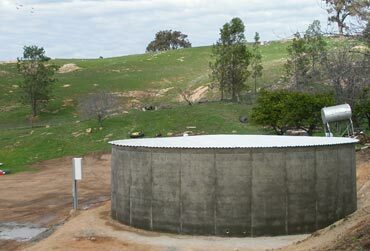 Finished above ground domestic concrete tank with corrugated steel zinc roof. 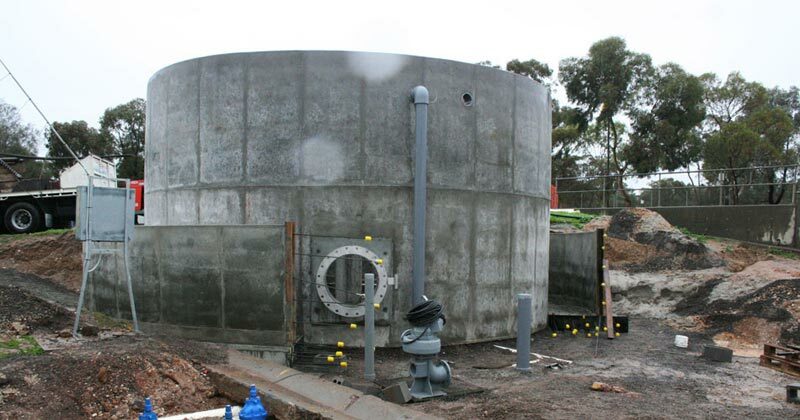 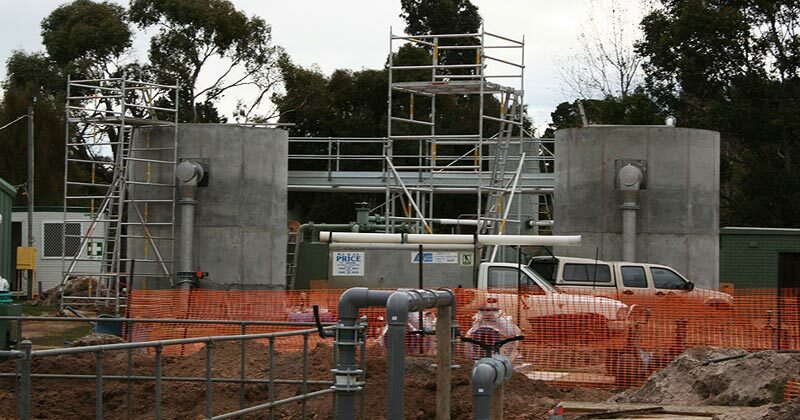 Initial construction of 6 metre high above ground waste water storage treatment tank. 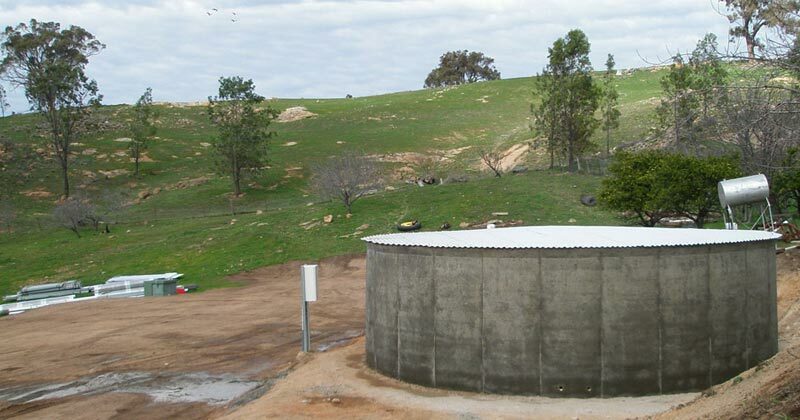 Completion of 6 metre high above ground waste water storage treatment tank.